they cannot permit anyone under the age of 16 to be on the premises at any time. spectators. We apologize for any inconvenience. STUDENTS (with valid ID): $45 fee for first event, second event free, includes USAR Limited Athlete License, or for first time USAR member, (DE students only) we will offer a 50% discount on the USAR $50 Membership fee. ENTRY DEADLINE: Applications will be accepted through Wednesday, February 21, 2018 until 3PM. Apply ON-LINE at R2 Sports (note credit card required) or MAIL applications with check made payable to DARA to: Charles Mathers, 44 Airdrie Dr, Bear, DE, 19701 On an exception basis, email and phone, call 302-261-6880 or email to mailto:delaware.racquetball@gmail.com.Confirmation. Confirmation email will be sent to players who register online. 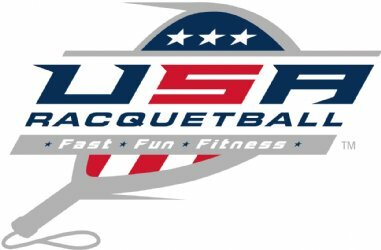 Questions regarding on-line registration can be directed to Charles Mathers at the following email address: delaware.racquetball@gmail.com. 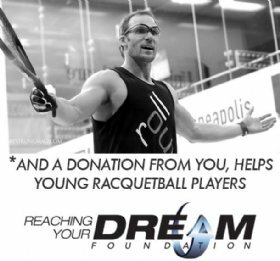 An early registration discount of $5.00 will be granted to players who enter on-line prior to Sunday, February 11, 2018. We strongly encourage early registration to ensure placement in this Event as WE WILL BE LIMITED TO ONLY 40 PLAYERS. NOTE: Due to limited playing time, we may not be able to accommodate any restrictions on play start times. No refunds after entry deadline. HOSPITALITY: Food & beverage through-out tournament for players only. Guest passes for food and drink will be available at the tournament desk for $10 per person. Note: Towels and locks are NOT provided by the club. 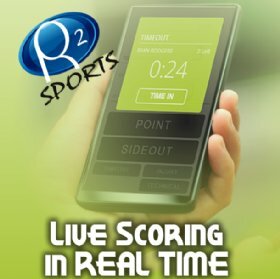 Available after 5:00 pm Thursday, February 22nd 2018 at the R2 Website Tournament may begin as early as 8:00 AM. Mandatory check-in 30 minutes before start time, as matches may start earlier than scheduled. We accept players from all states. All players must be USAR members in good standing. Non-members can join the USAR at the tournament. The cost is $50/year for USAR Annual Membership & competitive license. Also available is the Limited Athletic License for $20. Valid thru conclusion of weekend event or a one day shootout. USAR Official Rules apply. Only amateurs may participate. Use of eye guards is mandatory! Eyeguards must meet ASTM or CSA impact standards as specified in USAR rule 2.5(a). All winners are required to referee (Assistance will be provided if needed) or find a suitable substitute.